Is Your Building Gasping For Air? 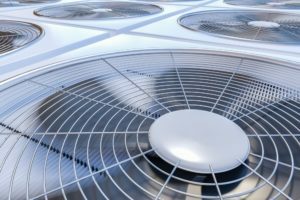 If you experienced one or all of the following situations inside your building, most likely your building (and you) need a little more fresh air. 1. Did you see condensation on your window pane in the winter? Without enough fresh air and proper ventilation to remove the moisture from inside the building, humidity will keep building up in the air. When the moisture content of air reaches the level of the dew point at the cold surface of the window or any cold spot inside the building, condensation will start to form and accumulate. When too much condensation is present, water may drip into the wall cavity and cause damage. In addition, high humidity will encourage growth of mold and mildew. 2. Do you always smell something “unique” in your house as soon as you step into the building from outside? Is it your favorite food smell, kitty litter smell or air freshener smell? This means you don’t have enough fresh air to push the old and stale air out of the building. Proper ventilation will get rid of this “unique” household odor and provide you and your visitors a fresh and clean air smell. 3. Ever wonder why you don’t quite feel energetic and frequently feel sleepy staying inside the building? Maybe some fresh air can help. Fresh air provides you with a steady supply of oxygen which is needed by your brain and every single cell of your body. Time to treat your body with a good supply of fresh air.